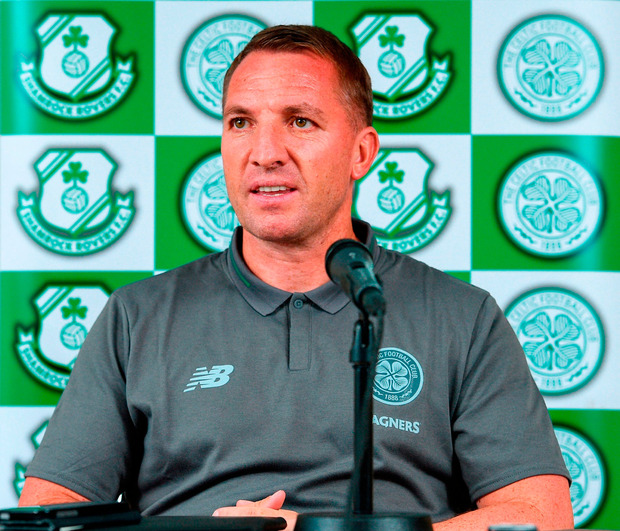 Brendan Rodgers knows Celtic will have to handle the searing heat as well as Alashkert in their Champions League qualifier on this evening. The Scottish champions will this season have to get through four qualifying ties to reach the group stages of the 2018/19 campaign. That journey begins in Armenia where temperatures are likely to rise above 30C when the first leg kicks-off in Yerevan and the Hoops boss acknowledged potential difficulties. "I think the weather is always going to play a big factor," the Northern Irishman said. "The temperature back in the UK is hot just now but it's nowhere near as hot here. "Sometimes it can affect the tempo of the game. It's something we have to work through but our objective over the two legs is qualify for the next round. "We know it will be tough to play in the heat, which we aren't used to, and that we are facing a tough opponent." Alashkert finished champions of their country for the third year running last season but do not possess a European pedigree and have yet to make it past the second qualifying round of either the Champions League or Europa League. However, Rodgers insists his players will prepare as if they are taking on potential tournament winners. The former Swansea and Liverpool boss said: "Our approach to every game is the same, it doesn't matter the opponent. "This is a squad of players at Celtic who are very respectful to every team we play. It's a group of players that have a lot of humility. "It doesn't matter what level the opponent is at, we respect and prepare like we were playing Barcelona. Alashkert are a team who have won their domestic league for the last three seasons so we know they are a good side. "We've analysed a number of their games. We watched some of their qualification last year and they played very well. We expect them to be very compact and tight. When you play at home in the qualification phase it's important that you don't concede a goal. "That's something you aim to do, particularly if you are at home in the first game. If you can take a goal or two away that helps. "We expect to see them attack and to show that they can play good football."